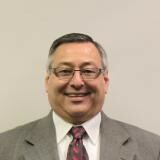 Eddie Smith has over 40 years in a variety of industries and held numerous high-level management positions, including Manager of Quality Assurance, Director of Quality Assurance, Manager of Manufacturing, Manager of Operations and Director of Operations. He has experience in automotive, off-road wheel manufacturing, gas and oil, construction and agriculture. He is a strong proponent of LEAN and has employed this approach to drive changes. Under his leadership in 2013 the Wichita, KS Case New Holland Construction Plant received the Best Plant Award from IndustryWeek for their application of LEAN. Eddie currently holds the position as Director of Operations at Kuhn Krause a manufacturer of agriculture equipment which are distributed globally. Through his direction Kuhn Krause has incorporated the use of LEAN Principles and Machine Intelligence. Kuhn Krause has been on their journey of continuous improvement for the past 3 years which is moving them toward a world-class manufacturing facility.